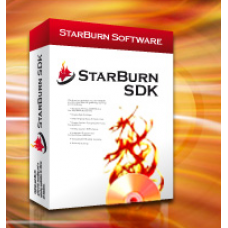 StarBurn SDK is an advanced and powerful CD/DVD/Blu-Ray/HD-DVD burning, grabbing and mastering software development kit for Microsoft Windows due to which you have all the modern grabbing, burning and media mastering capabilities at your disposal. StarBurn SDK is redistributable as a Dynamic-Link Library (DLL), ActiveX (OCX) or static library (LIB) built-in into your application executable. We don't force our customers to use a single hard coded approach. A DLL is generally easier to maintain and updates to new StarBurn versions are trivial (only core StarBurn.dll should be replaced). An OCX is a slightly easier to program and a LIB is treated as more "secure". OSTA UDF compatible file system mastering (UDF 1.02, 1.50, 2.01, 2.5, 2.6). Files larger then 2 GB and with names up to 2048 characters long now could be stored on optical media. You don't need to use third-party tools to split your huge database backups or rename very long file names before burning them. These are things of the past with StarBurn SDK. UDF is also completely UNICODE compatible. ISO9660 file system mastering (including Joliet Unicode name extensions). The most compatible file system virtually every machine can read. So-called “bridge file system” (ISO9660/UDF for DVD-Video creation) mastering. 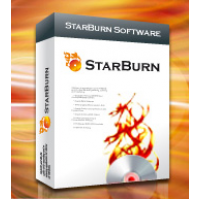 StarBurn creates a bridge file system which is DVD-Video compatible. Such media could be read with both stand-alone DVD players and older Windows 95 and DOS boxes. And yes, our burning toolkit makes DVD-Video and DVD-Audio images that pass PHILIPS DVD-Video Verifier without mastering errors. This means DVD's created with the StarBurn SDK are playable in any stand-alone DVD player. Session import (appending already recorded CD/DVD/Blu-Ray/HD-DVD media). In this mode you can use the same media for sequential recording daily. New data would perfectly co-exist with previously recorded data. The only limitation you'd hit is physical media capacity. Ideal solution for custom backups! A year of FREE support and updates provided. You can always use our public support forum where it's clearly visible how caring and helpful we are to our customers. You can also get support or your question answered via ICQ/MSN or our "LIVE HELP" system. Includes DVD-ROM emulator. 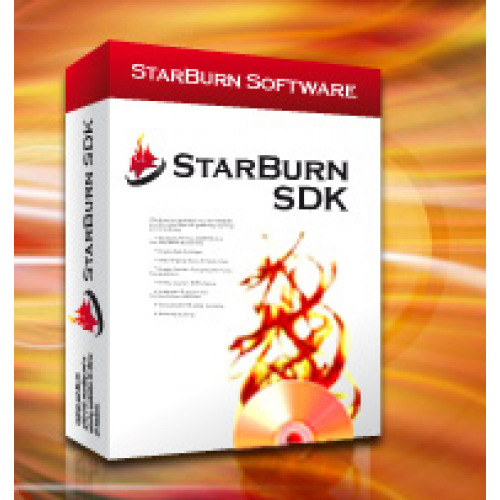 StarBurn SDK is the only SDK with DVD-ROM emulation which allows you to master your data to any file on the hard disk, verify content and apply physical burning later, even on a different machine. DVD9 to 2 DVD-R(+R) conversion support. In this mode StarBurn backs up dual layer stamped DVD9 DVD-Video disc into a pair of two DVD single layer recordables, as a pair of two single layer recordable discs is cheaper than single double/dual layer recordable.